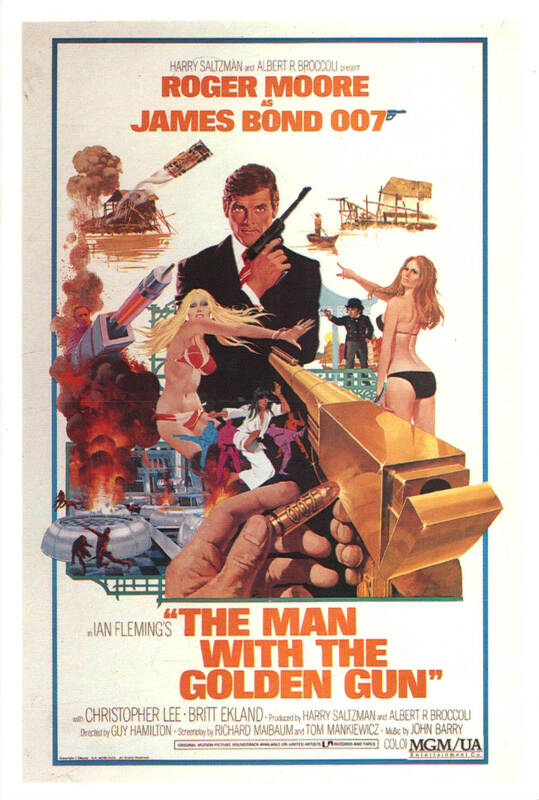 Den oprindelige danske premiereplakat til "Manden med den gyldne pistol" (The Man with the Golden Gun, EON 1974) er baseret på filmens internationale lanceringskampagne illustreret af Robert McGinnis. 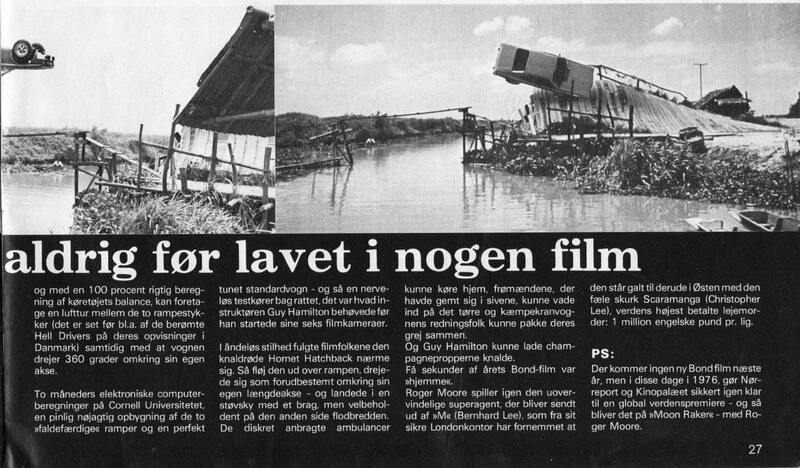 På denne dato for tre år siden, 7. juni 2015, døde den engelske skuespiller Sir Christopher Lee i en alder af 93 år. 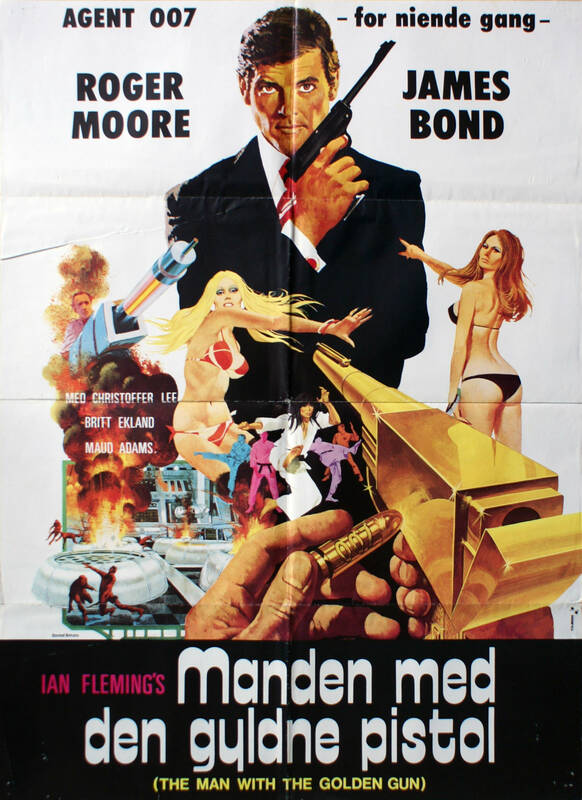 Blandt de flere hundrede roller, Christopher Lee spillede i sin 70-årige karriere, var naturligvis Francisco Scaramanga i James Bond 007-filmen "Manden med den gyldne pistol" (The Man with the Golden Gun, EON 1974). 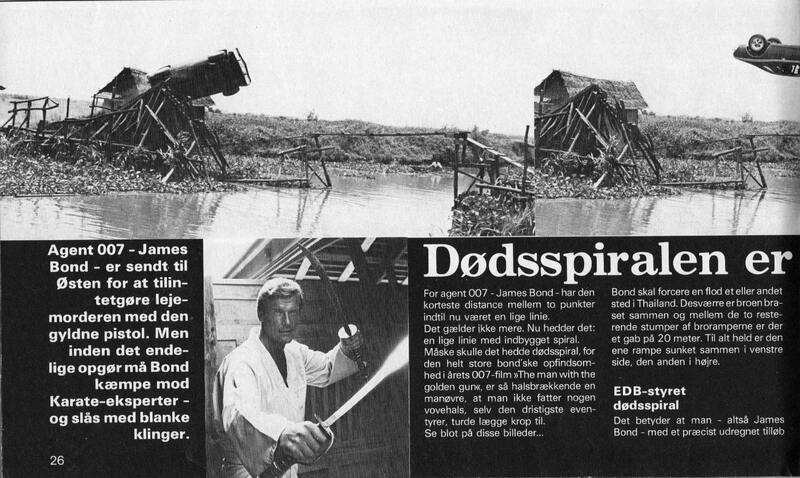 Desuden var Christopher Lee stedfætter til James Bonds skaber, forfatteren Ian Fleming. "My wife does not care for golf and she cannot hold a tune. All the same, without golf and music we should never have met. The chain of causes which led to my marriage began with my friend Lionel Stubbs. 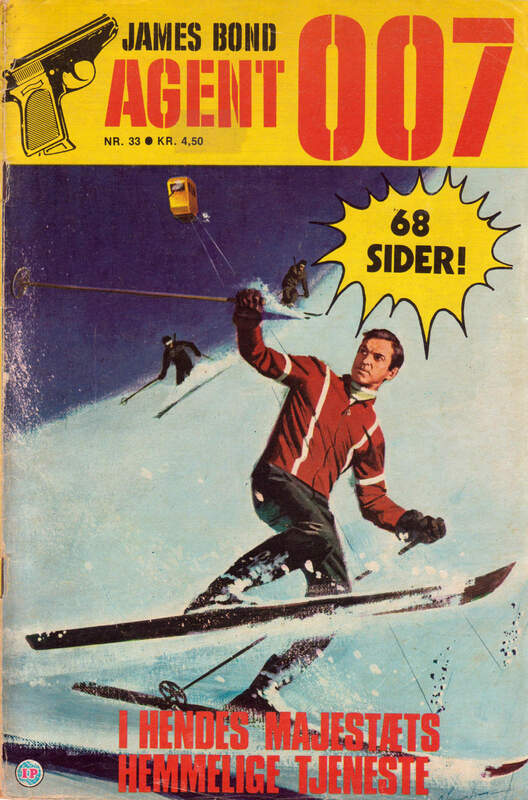 We often went round the course together, and even more often I dropped into his flat next door to chat about golf and what the RAF was up to. One evening Lionel had a Danish friend with him who like himself was 'in hides and skins'. When the topic of tanners and trappers had given out, the Dane and I discovered a common passion in music. Harry Rabinowitz (namesake of the conductor) had an encyclopaedic knowledge of music - in fact he wrote an encyclopaedia. I cannot 1:,1 horn the technicalities. If somebody talks about the magnificent bowing and fingerwork, it is lost on me. Triple tonguing and pedal work are closed books to me. But Harry was uncanny. He not only knew all that but he could recognize any singer and give you his name, the label on the record and its number. 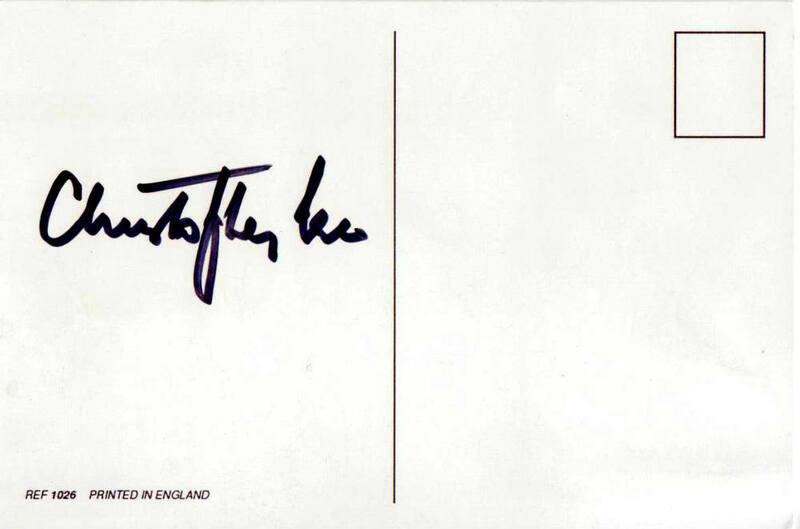 He'd published a catalogue of pre-electric recordings. I used to test him on obscure Romanian tenors and so forth. We sat for hours together, engrossed, and soon had a rapport so close that his Brooklyn-born wife Sandy ironically suggested we ought to get married. I replied that there was no bar in my case, since I was single. They both stared at me as if they had thought I had a secret wife. 'You're not married?' they exclaimed in unison. Married people cannot bear anybody to remain in a single state. In no time they were snowing me with comments on a dazzling Dane they knew who was the one person in the world for me. She was twenty-five and they couldn't bear her being single either. Her name was Birgit Kroencke and everyone knew her as Gitte. She was a daughter of the director of the Tuborg brewery in Copenhagen. She was a painter. She was a model who'd worked for Balmain, Balenciaga and Dior. They showed me radiant pictures to prove it. The red hair, the green eyes, the feline elegance, all haunted me. I avowed a half-wish to meet this paragon.